Blinds offer numerous benefits. They’re easier to clean and maintain than curtains, take up less space, and offer more-or-less complete control over the amount of light entering the home. 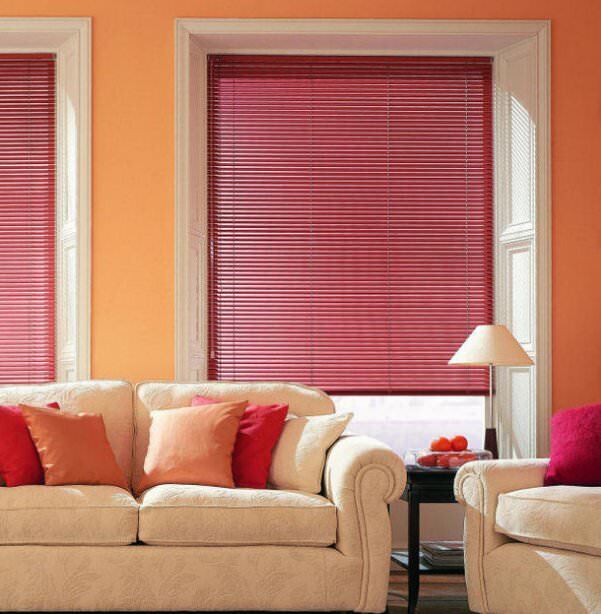 Not sure whether blinds are the right choice for you? Read on and we’ll answer some of the most frequently asked questions about blinds. Can Blinds be Cut or Shortened? Standard window blind sizes have been manufactured to match standard windows, but if you have a period property, or one that is otherwise not built to standard specifications, you might find that you need to cut your blinds to size. Thankfully, cutting roller blinds to size is generally pretty straightforward. Measure the width of your window, leaving around 5mm on either side for the fittings to slot into. Align the slats evenly and using a clamp or similar, hold them in place. Mark the rear of your blinds with a pencil. Note that while most windows will be evenly-proportioned, in some older houses you might find that the gap is a little bit crooked. This doesn’t pose too much of a problem – you’ll just need to take several measurements and use the smallest one. Cut your blinds down to size. Double check them before getting them into position. It’s crucial that your blinds are straight all the way down, so make sure you double-check your markings before you start cutting. Remember, you can always take more off, but you can’t put it back on again. Once you’ve finished cutting your blinds to size, you’ll need to adjust your headrail. Take a pen and mark the length of your window. Using a hacksaw, remove the end of the rail. Remove any jagged bits with a metal file. The mounting brackets will obscure the end of the headrail, so this isn’t strictly necessary – but it’ll provide a perfect finish. If you’ve mistakenly ordered blinds that aren’t the right size, don’t attempt to modify them – instead, send them back and order something new. Modifying your blinds in the way we’ve just described will void your warranty, and if you do it wrong, there’ll be no going back. Anything that covers your window will help prevent heat from escaping your property. Blinds are no exception. A big, heavy set of blackout roman blinds will act like a blanket for your home. Insulated blinds of this sort prevent the warm air circulating in the room from mixing with the cold air by the window, and thereby limit the transfer of heat between the two. This means they’re the best blinds for heat retention. Thinner blinds will do this too, but to a lesser extent. Given that vertical and Venetian blinds are, by their nature, covered with long holes, their insulating performance is minimal. Of course, to maximise how much your blinds retain heat, you’ll need to close them as night falls. The fit of your blinds will also influence their ability to retain heat. If there’s a gap around the sides of the blind, heat will escape more easily. You can get around this by ensuring that your blinds sit flush against the sides of the window, or by installing yours outside of the recess so that the entire window is covered. In much the same way as heavy blinds can reduce heat transfer, they can also help keep noise out. The thicker the blinds, the more effective they will be at blocking out sound. Of course, there are limits to how much sound a sheet of fabric can diffuse. Higher-frequency noises, like chirruping birds and train whistles, will be blocked out first; lower-frequency noise won’t be. A soft set of roman blinds with a thermal lining will absorb sound waves more effectively than a single layer of lightweight material. This is another way in which soft fabric blinds are similar to those made from wood and metal. The hard surface of the materials will bounce sound waves rather than absorbing them, with the result that the noise might be amplified rather than dampened. For best results, you’ll want multiple layers covering your window (the more, the better). Many homeowners combine blinds set into the window with curtains. Naturally, upgrading to double-glazing (if you don’t already have it), and replacing the caulk around the edges of the frame, will also have an impact. Soft upholstery and carpet in the room can make a significant difference, too. Most types of blinds are really easy to clean. This is particularly the case with PVC-based roller blinds. All that’s required is some warm water and a sponge. First, you’ll want to remove any large pieces of debris that might be trapped in the fibres. Do this with a vacuum cleaner, in the same way you might clean a carpet. You might find that there’s an attachment supplied which serves precisely this purpose. This is by far the fastest way to dust blinds (but you might perform the occasional spot-check with a feather duster, too). Once the dust is removed, it’s time to wipe down the blinds. Use a damp cleaning cloth and warm, soapy water. Avoid caustic scrubbing brushes and harsh chemical cleaners, since they’ll discolour the fabric. You should also take care not to oversoak the blind. Ideally, you should let your blinds drip dry naturally. Place a long tray or large towel at the bottom of the window; this will soak up any excess drips. Ideally, you’ll want to do this during summer, as it’ll help the blinds dry faster – but if you’re willing to crank up the heating, there’s no reason you can’t do it at any time of year. If you have a set of heavy blinds, you might be tempted to remove them from their rails occasionally and give them a more thorough cleaning in warm, soapy water. Before doing this please make sure that it is safe to do so. With the right care and maintenance, quality blinds should last for years, but eventually, you might have to take your old blinds down. Perhaps they’re losing their lustre, or you’re revamping the room, and the old blinds just don’t fit with your vision. So, what can you do if you want to recycle old blinds? Aluminium blinds can simply be placed in the recycling bin. They can be easily melted down and reformed into coke cans, kitchen utensils, and even aeroplanes. Wooden blinds have usually been treated with varnish, so they’re unsuitable even for compost. Thankfully they’re great candidates for upcycling. If you’ve got an old set of fabric blinds that you’d like to dispose of, your best bet is probably to take them to your local charity shop. Even if you no longer have a use for them, odds are someone will. Alternatively, if you or someone you know is feeling creative, upcycling old fabric blinds might be the answer. The fabric from a set of old blinds can be used to create placemats, pillowcases, lampshades, and much more. Ready to shop for new blinds? You can view our full range of blinds here. Alternatively view our roller blinds, or our roman blinds.